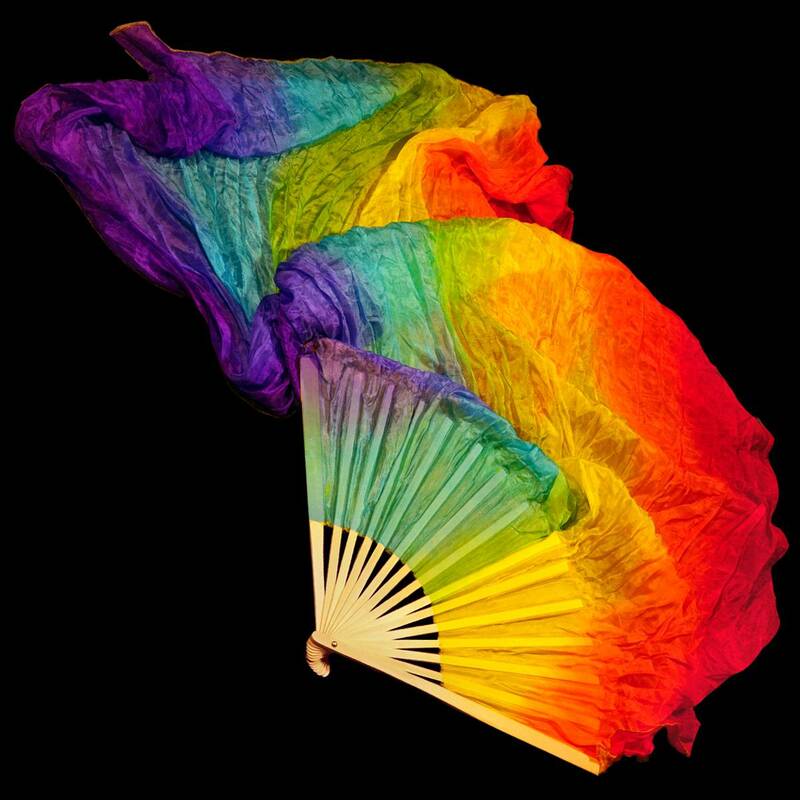 Rainbow-bending made real :) These rainbow fans are named for their gorgeous ROYGBIV color spectrum spanning the width of the silk all the way from the fan to the silk ends. 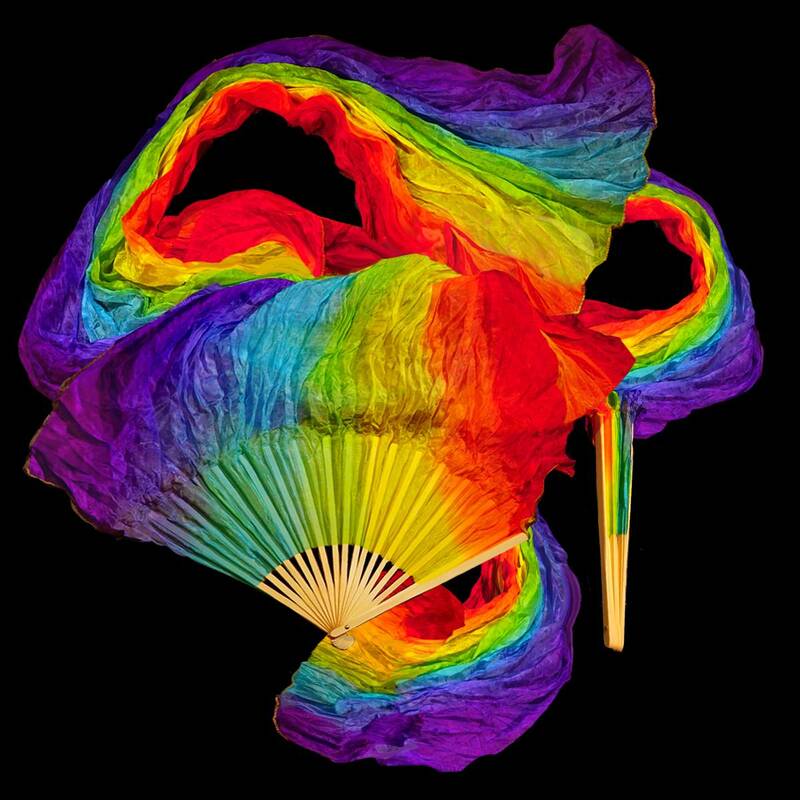 These super soft, silk fans come in a pair. The fan blades are 12" long and spread to a full fan width of 22". The silk fabric extends beyond the fan blades to a total length of 5'. 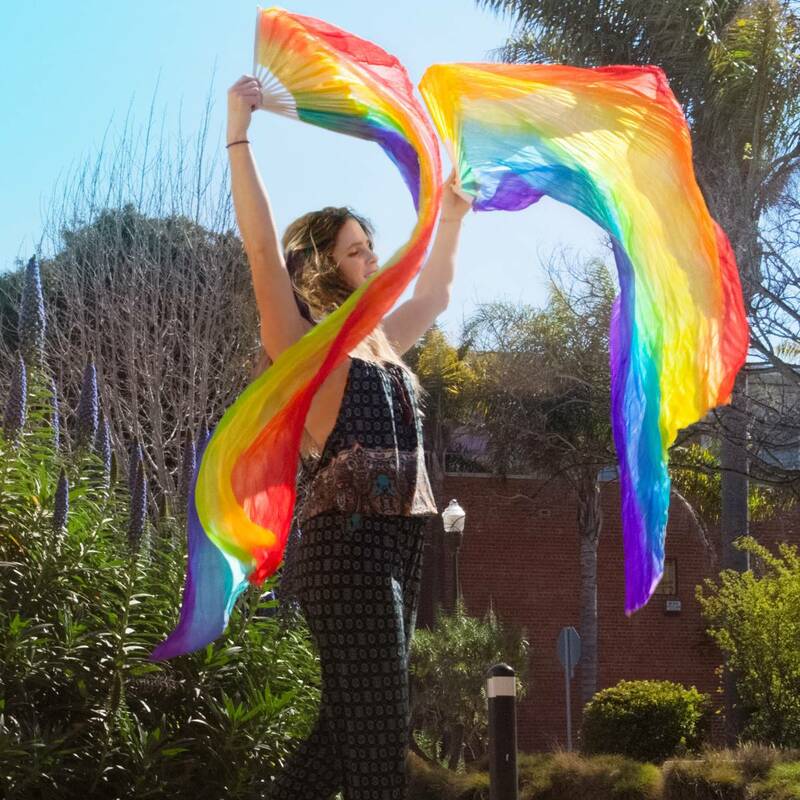 Rainbow fans coloration features a ROYGBIV gradient (red/orange/yellow/green/blue/indigo/violet) spanning the width of the silk, with the rainbow continuining fully along the length of the silk from blades to hem, just like a real rainbow.